Back to reality. 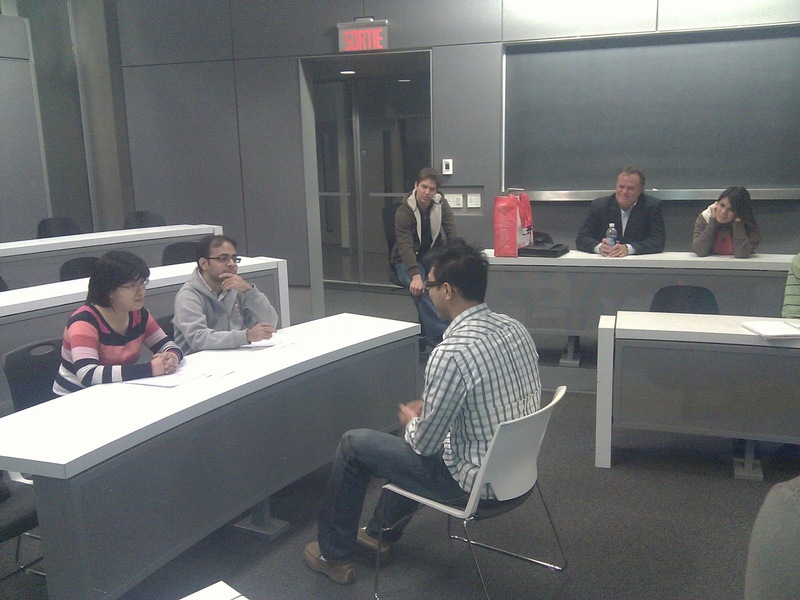 The John Molson School of Business International Case Competition (JMSB ICC... what a mouthful!) has come to a close and now classes have begun. It was fun pretending I was a real business man dressing up in a suit every day... but I'll be finished in four short months. This semester I have a lot on my plate, but it looks mostly interesting. 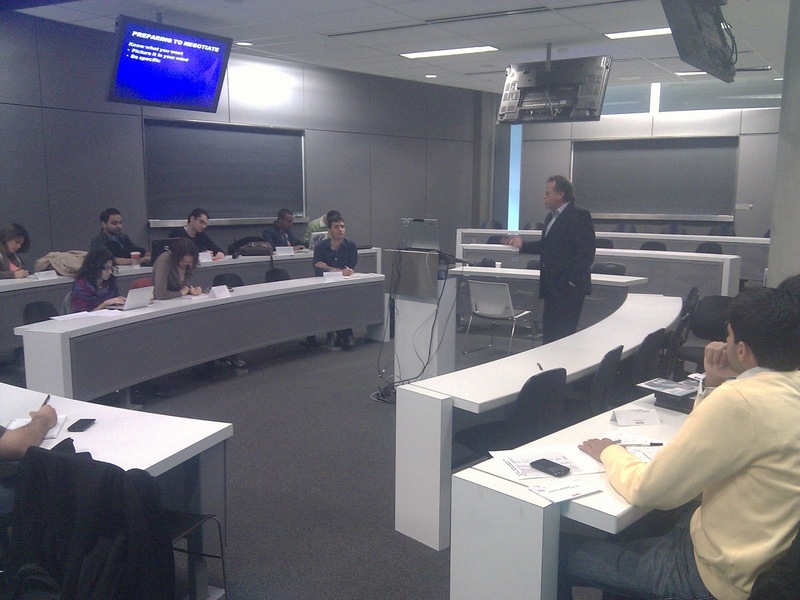 Two case-based courses and economics. And a research paper. Pause. Sorry, I can't even continue. I just ate the single most bizzare dessert I've ever had. Sherri came over while I was typing with a gift she had received from one of our friends who had recently been to Korea. It is called "Laver Chocolate" and seems to be some sort of seaweed filling covered in chocolate. It smelled like the sea and tasted like chocolate with fishy cream. It's the thought that counts. Hoo boy. Ok, where was I? I don't even know. Let's just move on. One of the projects I've been working and reflecting on these past few days is CANS. Last fall I gathered together with a group of friends: Rabia Khan, David Soued, and Amita Dixit. 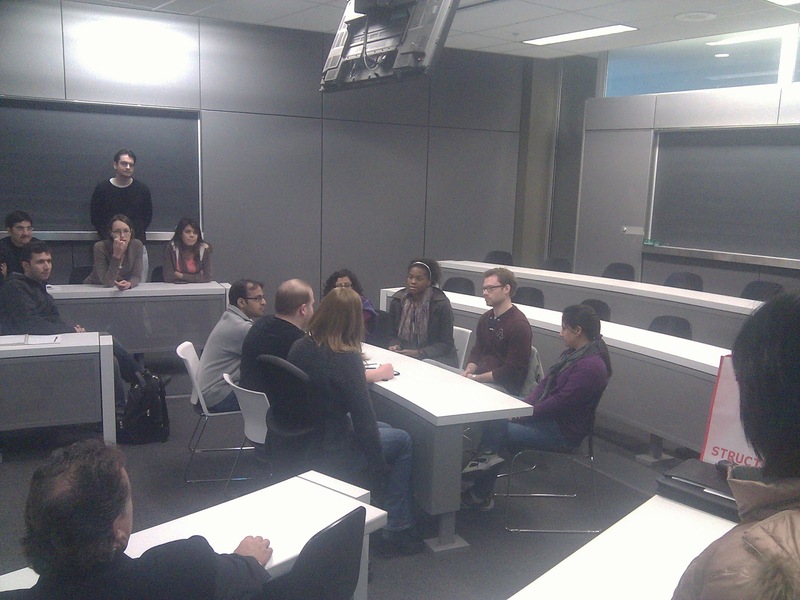 We started a series of seminars that we called Case Analysis and Negotiations Skills (CANS). I regret that name in hindsight. Always felt a bit silly to invite people to CANS. But the seminars themselves were solid. Basically, CANS was started because of a need. The need was that I didn't get into the Case Competition class. There were 30 applicants and only 10 were accepted. Everyone wanted to get into that class because that's the only class where you can really develop case cracking skills well, because you do a 3 hour case prep every week. Negotiations were added because there was an amazing negotiations course that McGill offered that we could take as an elective that was shut down just before I started my degree. My goal in this, as in most of my projects, was to become a living legend. I don't know if I succeeded but the seminars were very good and had lots of positive feedback. We ended up doing a two part session on case analysis and a two part session on negotiation. Having music play as people arrive cuts the tension significantly. We just had a laptop hooked to the sound system playing coffee-house music. Learning to take care of the presenter. Covering incidentals, having someone meet them as they arrive, have a space for them, lunch set aside, that sort of thing. A partnership. Right before we launched, we got an email from the School of Graduate Studies that a new organization was starting called "GradProSkills" offering soft skills training in a number of areas. After the initial panic that we had done a lot of work for nothing, I checked their website and found they didn't do case analysis or negotiation. Then one of our team, Rabia, called them up to see about joining forces, mainly so that CANS won't die when we all graduate. Once they got involved they put up room signage and took care of registration, helping people to feel like they were attending an official conference instead of a student club. Partnerships are good. Marketing: more than just sending out emails to students, the success came from organizers standing in classrooms encouraging sign-ups. The room the seminar is in makes a big difference. I don't have any pictures immediately available, but the first room was a white box with no windows. Our second was a bit more modern, oval shaped, carpeted. Not so much of a "sanitarium" feel to it. Ron Thiessen leading a session. Everyone loved him. Team negotiation exercise. We looked on as the two teams battled it out. The feedback we got from the seminars was exceptionally positive. There are, of course areas to improve on, but it was neat to see the dream come to fruition. This winter we still have to meet as a team to finalize the schedule, but it will continue and we've got a few interesting prospects lined up. I'll put up more details as they're finalized. At the end of my last post I had a quiz question. Now I said I'd answer it if 10 people commented. I got 2 comments. This will teach me to put conditions on blog posts to make it interactive. I'll tell you anyway. 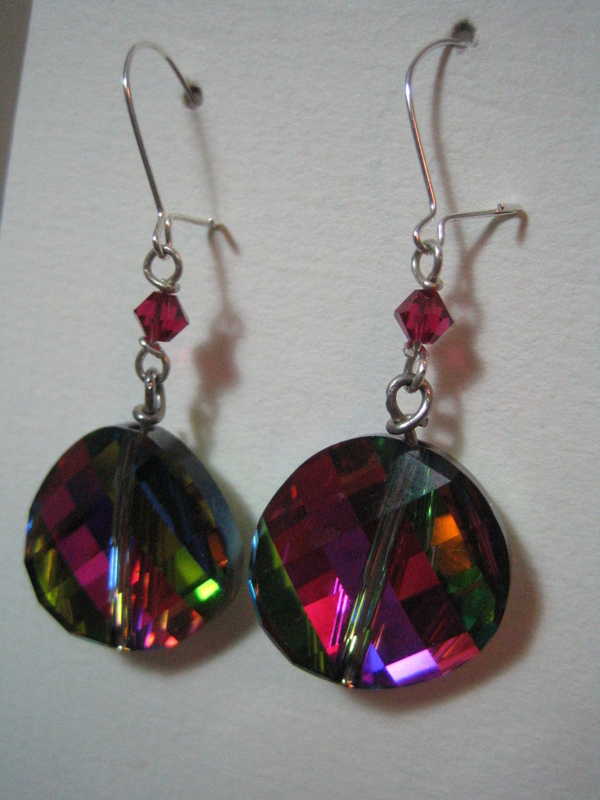 It was indeed Earrings, thank you mom, you got it right. They're pretty and they're quick to make. 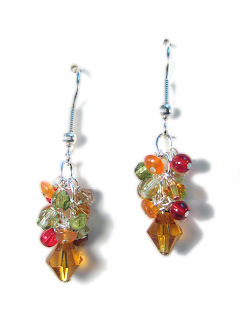 Earrings, by and large, are the lowest cost piece of beaded jewelry to make. Simple earrings can be made at about 6 to 8 pairs an hour, depending on how devoted and skilled you are, and can be sold for $10 at a craft fair. More complicated earrings are a different story. These bad boys take longer because of all the little pieces. We speed up the process by using headpins instead of silver wire. If all goes as planned, I will be featuring my first guest blog on Monday. I met a fellow named Patrick Klose, a student of Public Relations at about the same level as me, and the plan is to post an article on PR by him on Monday. So tune in, everyone! And if it's another post on crafting, well, then that means it didn't work out. Is it wrong that I saw this post's title and got excited thinking you would be talking about soda? Interesting read. What stood out most is that it's always important to take care of the people who do things for you, re: guest speakers. @ezzeloharr Yeah, we learned that one the hard way: by not doing it properly a few times. The food ran out before the speaker got any once, he had to pay for his own parking another time. When this was brought to our attention, we were like "oh boy we dropped the ball." But, live and learn. This semester we'll get it right. 7. Name tags - nothing undoes your mood better at the start of a conference than hanging a lanyard around your neck that boldly shows an error in spelling or affiliation.